Founded in March 2006, Twitter is an online social networking website founded by Noah Glass, Biz Stone, Evan Williams and Jack Dorsey. Today, it is one of the most popular social media websites that has more than half a billion members across the world and growing every day. The registered members of the website can send as well as read tweets or short message that cannot exceed 140 characters at one time. As it is one of the best choices for online marketing, more and more people are utilizing Twitter for marketing. 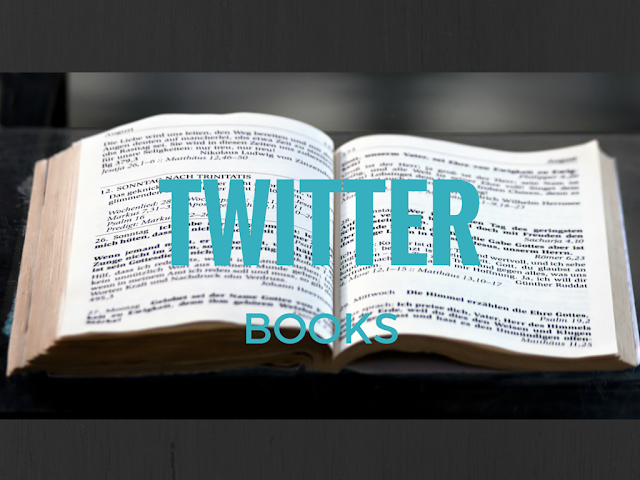 These are some books that offer excellent information about Twitter. Due to its reach in the worldwide market, Twitter has become one of the best avenues for online marketing. However, there are many people, who still don’t have much idea about how to start tapping this market for their products and services. For such people, this is one of the best books twitter that offers information and in-depth analysis. This book guides the reader from the creation of a twitter profile to implementation of marketing strategy to reach the targeted consumer groups. There are many Twitter books in the market that offer advice and strategy about gaining more followers in less time. The author of the book has thousands of followers on Twitter. The author has written lessons gained from his journey on this networking site. He provides step-by-step instructions as well as some trade secrets. If you are a beginner, reading this Twitter book is the fun way to learn about how to tweet quickly. The writer has updated the latest changes as well as innovative features in this book. In this book, the student also learns about the rules of Twitter, how to make good use and utilize the potential with good strategies. This book is a great choice for readers who want to keep in touch with other people or market their products and services. Twitter Followers: How to Attract 200+ Genuine and Targeted Twitter Followers Every Single Day - A Step-by-Step Twitter Formula: Twitter Followers - Strategies that are proven and guaranteed. It is a proven fact that the number of the followers is the key to the success of online marketing strategies in Twitter. So, this book is the best Twitter marketing guide in the market that offers step-by-step Twitter Followers Success System. This system enables the people to capture a large number of the followers in a short time. The system has been tried and tested by the author many times before publishing it. Targeted towards small business owners, this Twitter book offers guidance about how to utilize this social networking website for business. This book on Twitter also teaches them about how to achieve the main objective including visibility, authority as well as sales. The author has coached more than 8000 business owners to achieve success with the utilization of Twitter network before writing this book. She has used all her experience to give a step-by-step strategy to master this unique avenue for increasing visibility and sales. Twitter is one of the best websites for marketing your brand, but there are many people who are skeptical. This is the best book Twitter for them as it offers extensive and step-by- step information about how to reach more people in less time and make more money. The writer has divided this book into 8 chapters and has tackled a new topic in each chapter. He starts with the description of various ideas to make money and at the end, offers a smart autopilot system. As per a report, Twitter had half a billion members during April 2012. However, most of them love to use Twitter to talk with other people, gossip about famous people and so on. The percentage of the people who use Twitter for business is very low. The author provides useful tips for beginners, including definitions, setting up one’s profile on tablets and mobiles, and using Twitter tabs. Twitter is being used by people of all ages to communicate; it’s the favorite social media for most celebrities and also the media of choice for the biggest brands worldwide. Getting hold of some of the above-mentioned books will make you proficient in Twitter, within a short time.